Engine serviced and out-drive legs professionally refurbished and serviced in April 2017. Spare impellers, belts and filters. New Upholstery fitted in 2015. Aft cabin twin singles can be converted to a large double. Calorifier with Immersion for hot water supply. Eberspacher heater installed but currently not working. Windlass electrics not working but it can still be used manually. Winter cockpit cover available, as well as the full enclosure seen in the photographs. Garmin 172C Colour Chart Plotter. Raymarine RC425 in use just for the Radar. Automatic electric bilge pump fitted 2018. This Sealine 290 is well presented the interior upholstery is recent and the interior looks great. Twin diesel engines offer good economy and performance. The legs have been recently serviced; see details in the listing details above. The aft twin berth cabin can convert to a large double if required and the saloon also makes up to a large double. The large cockpit has plenty of seating around the table; and this aft part of the cockpit makes up to a large sunbed. The equipment includes a chart plotter and radar. In summary it looks to be a very nice example of the popular diesel engine version. 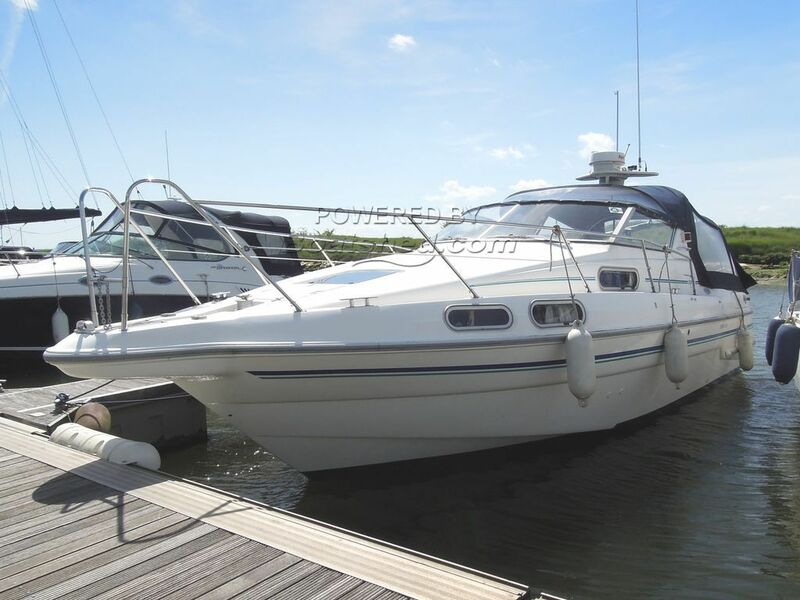 This Sealine 290 Ambassador has been personally photographed and viewed by Steve Booth of Boatshed Essex. Click here for contact details.